Our Cold War history is now offering scientists a chance to better understand the complex space system that surrounds us. Space weather – which can include changes in Earth’s magnetic environment are usually triggered by the Sun’s activity, but recently declassified data on high-altitude nuclear explosion tests have provided a new look at the mechanisms that set off perturbations in that magnetic system. Such information can help support NASA’s efforts to protect satellites and astronauts from the natural radiation inherent in space. From 1958 to 1962, the U.S. and U.S.S.R. ran high-altitude tests with exotic code names like Starfish, Argus and Teak. The tests have long since ended, and the goals at the time were military. Today, however, they can provide crucial information on how humans can affect space. The tests, and other human-induced space weather, are the focus of a comprehensive new study published in Space Science Reviews. 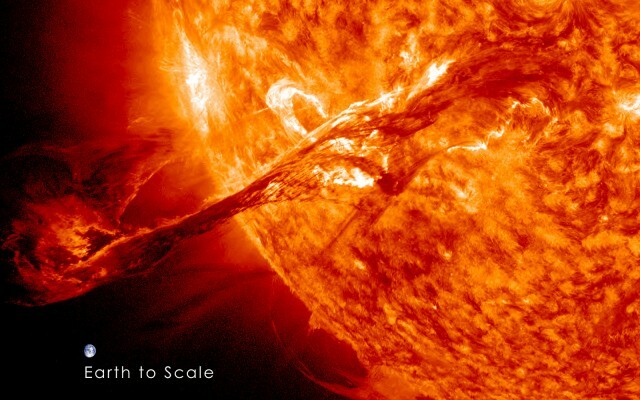 By and large, space weather – which affects the region of near-Earth space where astronauts and satellites travel – is typically driven by external factors. The Sun sends out millions of high-energy particles, the solar wind, which races out across the solar system before encountering Earth and its magnetosphere, a protective magnetic field surrounding the planet. Most of the charged particles are deflected, but some make their way into near-Earth space and can impact our satellites by damaging onboard electronics and disrupting communications or navigation signals. These particles, along with electromagnetic energy that accompanies them, can also cause auroras, while changes in the magnetic field can induce currents that damage power grids. The Cold War tests, which detonated explosives at heights from 16 to 250 miles above the surface, mimicked some of these natural effects. Upon detonation, a first blast wave expelled an expanding fireball of plasma, a hot gas of electrically charged particles. This created a geomagnetic disturbance, which distorted Earth’s magnetic field lines and induced an electric field on the surface. Some of the tests even created artificial radiation belts, akin to the natural Van Allen radiation belts, a layer of charged particles held in place by Earth’s magnetic fields. The artificially trapped charged particles remained in significant numbers for weeks, and in one case, years. These particles, natural and artificial, can affect electronics on high-flying satellites—in fact some failed as a result of the tests. Although the induced radiation belts were physically similar to Earth’s natural radiation belts, their trapped particles had different energies. By comparing the energies of the particles, it is possible to distinguish the fission-generated particles and those naturally occurring in the Van Allen belts. Other tests mimicked other natural phenomena we see in space. The Teak test, which took place on Aug. 1, 1958, was notable for the artificial aurora that resulted. 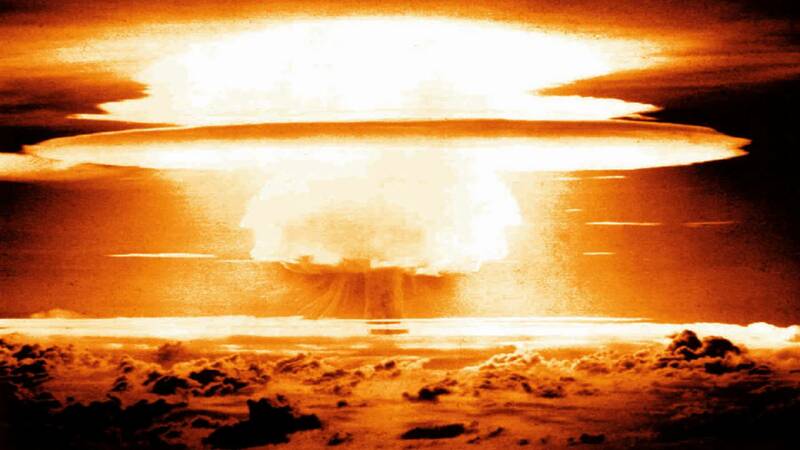 The test was conducted over Johnston Island in the Pacific Ocean. On the same day, the Apia Observatory in Western Samoa observed a highly unusual aurora, which are typically only observed in at the poles. The energetic particles released by the test likely followed Earth’s magnetic field lines to the Polynesian island nation, inducing the aurora. Observing how the tests caused aurora, can provide insight into what the natural auroral mechanisms are too. Later that same year, when the Argus tests were conducted, effects were seen around the world. These tests were conducted at higher altitudes than previous tests, allowing the particles to travel farther around Earth. Sudden geomagnetic storms were observed from Sweden to Arizona and scientists used the observed time of the events to determine the speed at which the particles from the explosion traveled. They observed two high-speed waves: the first travelled at 1,860 miles per second and the second, less than a fourth that speed. Unlike the artificial radiation belts, these geomagnetic effects were short-lived, lasting only seconds. 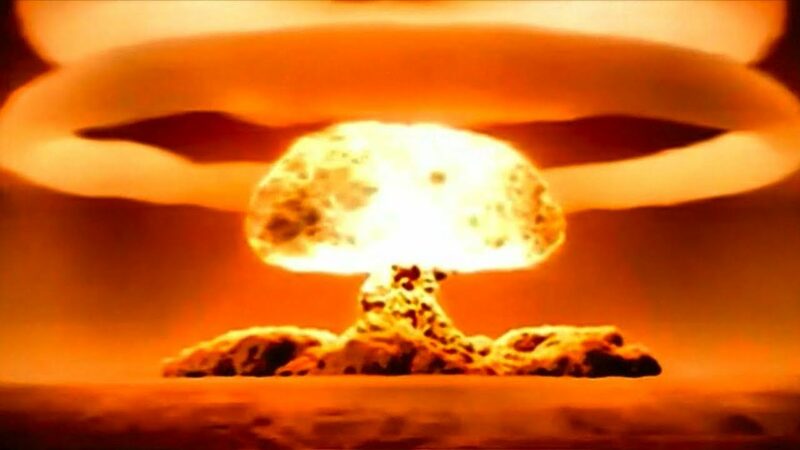 Atmospheric nuclear testing has long since stopped, and the present space environment remains dominated by natural phenomena. However, considering such historical events allows scientists and engineers to understand the effects of space weather on our infrastructure and technical systems. Such information adds to a larger body of heliophysics research, which studies our near-Earth space environment in order to better understand the natural causes of space weather. NASA missions such as Magnetospheric Multiscale (MMS), Van Allen Probes and Time History of Events and Macroscale Interactions during Substorms (THEMIS) study Earth’s magnetosphere and the causes of space weather. Other NASA missions, like STEREO, constantly survey the Sun to look for activity that could trigger space weather. These missions help inform scientists about the complex system we live in, and how to protect the satellites we utilize for communication and navigation on a daily basis.